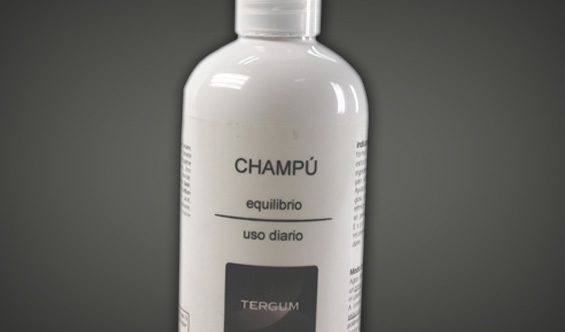 Tergum Equilibrio has been formulated with 4 active principles in order to achieve hair and scalp balance of normal to dry hair types. It eliminates dandruff effectively, with an extraordinary balancing effect. With menthol to guarantee scalp cleanness and facilitate the effectiveness of its other active principles like biotine. Zinc pyrithione solves and prevents dandruff, while the urtica dioica extract regulates oil excess. An accurate balancing formula that will make the most of your hair. Apply on wet hair and rinse immediately with water. Apply again and leave on for 3-5 minutes.